Restaurants have a notoriously high failure rate and the ones that survive often have razor thin margins. 60 percent of restaurants close or change ownership in the first year of business, 80 percent fail within five years. The fact that Kerbey Lane Cafe in Austin, Texas serves food is almost where the similarities end between Kerbey Lane and most other restaurants. For over 25 years, they’ve done business differently: from hiring to training everyone (down to the table bussers) how their role contributes to the company’s EBITA goal. Hear from Mason Ayer, the CEO of this unique business as he explains how this family-owned restaurant chain, started by his parents, has always seen their business as more than merely serving food. That passion made Kerbey Lane Cafe an Austin Icon with seven unique locations. 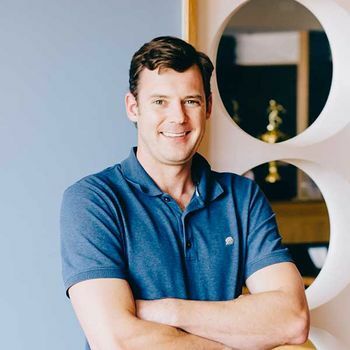 Mason, the recent winner of the Best CEO award by the Austin Business Journal, shares the insight he’s learned from running the business from a genuinely open book and a big heart. You’ll hear the victories - and struggles - they encountered on the way. You’ll also hear how their leadership style made it all possible.